You may not republish any portion of the Content on any Internet, Intranet or Extranet site or incorporate the Content in any database, compilation, archive or cache. You may not distribute any Content to others, whether or not for payment or other consideration, and you may not archive, modify, copy, frame, cache, reproduce, sell, publish, transmit, display or otherwise use any portion of the Content. You may not scrape or otherwise copy our Content without permission. You agree not to decompile, reverse engineer or disassemble any software or other products or processes accessible through The Bar Fly.net, not to insert any code or product or manipulate the content of The Bar Fly.net in any way that affects the user's experience, and not to use any data mining, data gathering or extraction method. The following provision applies to all visitors to this website (including, without limitation, persons, representatives of legal entities, and digital engines of any kind, including, without limitation, ones that crawl, index, scrape, copy, store, or transmit digital content): By accessing this website, you specifically acknowledge and agree that (i) Associated Press text, photo, graphic, audio, and/or video material (collectively, "AP Material") shall not be published, broadcast, rewritten for broadcast or publication, or redistributed directly or indirectly in any medium; (ii) No AP Material nor any portion thereof may be stored in a computer except for personal and non-commercial use; and (iii) The Associated Press shall not be held liable for any delays, inaccuracies, errors, or omissions in the AP Material or in the transmission or delivery of any part thereof or for any damages arising therefrom or occasioned thereby. Registration is not required to view certain Content. However, there are certain circumstances where you will be required to register, including, without limitation, if you wish to register your bar. If you become a Registered Member of The Bar Fly.net, you accept responsibility for all activities that occur under your Registration Account. You agree to provide true, accurate, complete, and correct information at the time of registration, and to promptly update this information as needed so that it remains true, accurate, complete, and correct. We reserve the right to terminate your access and use of The Bar Fly.net if you register under a false identity, submit multiple registrations for single user or otherwise commit fraudulent conduct in connection with your registration or use of The Bar Fly.net You are responsible for maintaining the confidentiality of your password and for restricting access to your computer so others outside your household may not access The Bar Fly.net using your name in whole or in part without our permission. If you believe someone has accessed The Bar Fly.net using your Registration Account and password without your authorization, e-mail us immediately at support@thebarfly.net. Use of Information by The Bar Fly.net. For all User Content you post, upload, or otherwise make available ("Provide") to The Bar Fly.net, you grant its owners, its affiliates and related entities, including The Bar Fly.net and its affiliated newspapers, Web sites, and broadcast stations, a worldwide, royalty-free, perpetual, irrevocable, non-exclusive right and fully sub-licensable license to use, copy, reproduce, distribute, publish, publicly perform, publicly display, modify, adapt, translate, archive, store, and create derivative works from such User Content, in any form, format, or medium, of any kind now known or later developed. Without limiting the generality of the previous sentence, you authorize The Bar Fly.net to share the User Content across all Web sites, newspapers, and broadcast stations affiliated with The Bar Fly.net or its owners, to include the User Content in a searchable format accessible by users of The Bar Fly.net, to place advertisements in close proximity to such User Content, and to use your name, likeness and any other provided information in connection with its use of the material you provide. You waive all moral rights with respect to any User Content you provide to The Bar Fly.net. You also grant The Bar Fly.net the right to use any material, information, ideas, concepts, know-how or techniques contained in any communication you provide or otherwise submit to us for any purpose whatsoever, including but not limited to, commercial purposes, and developing, manufacturing and marketing commercial products using such information. All rights in this paragraph are granted without the need for additional compensation of any sort to you. ontent that are deliberately false or defamatory. The Bar Fly.net discourages users from divulging personal phone numbers and addresses or other information that can be used to identify or locate you or anyone else. You acknowledge and agree that if you make such disclosures either through posting on any bulletin board, forum, blogspace, message or chat area, or uploading text, images, audio files or other audio-visual content, in advertising you place or in other interactive areas, or to third parties in any communication, you do so fully understanding that such information could be used to identify you. If your User Content contains copyrighted or other proprietary material of any kind, you have express permission to post the material from the owner of that material. User Content may not contain vulgar, profane, abusive, racist or hateful language or sentiments, whether words or images, including epithets or slurs, or discriminatory or inflammatory attacks - on the grounds of race, religion, national origin, gender, age, marital status, sexual orientation or disability. User Content may not contain false accusations or fraudulent claims, nor contain language that is defamatory or grossly inflammatory. User Content may not violate or encourage the violation of any municipal, state, federal or international law, rule, regulation or ordinance. By posting User Content, you accept full responsibility and awareness that you may be held liable for any violations of the rights of a third party, including but not limited to claims for false or defamatory statements, invasion of privacy, misappropriation of right of publicity and intentional or negligent infliction of emotional distress. Advertising and promotional notices and offers are not allowed as User Content, except in areas specifically designated for such purpose. You may not post reviews or other User Content that constitutes a conflict of interest, including, without limitation, writing about an employer or competitor. If your photo or video depicts any children under the age of 13, you affirm that you have written permission from the child's parent or guardian to provide the photo or video. Spamming is prohibited. You may not post the same message in multiple threads. Further, you may not "creatively spam" by posting slightly altered but essentially identical messages on multiple pages - or repeatedly making recommendations that are unrelated to the corresponding content pages. "Flaming" is prohibited (sending or posting repeated messages making derogatory or offensive comments about another individual or entity). User Content may not violate any right of The Bar Fly.net or any third party. You may not interfere with any third party's uninterrupted use of The Bar Fly.net. You may not upload or transmit viruses or other harmful, disruptive or destructive files, material or code. You may not disrupt, interfere with, or otherwise harm or violate the security of The Bar Fly.net, or any services, system resources, accounts, passwords, servers or networks connected to or accessible through The Bar Fly.net or affiliated or linked sites. Repeat violations of these Posting Rules may result in the suspension of your user account. WARNING: THE BAR FLY.NET RESERVES THE RIGHT TO REFER ANY VIOLATION OF THESE POSTING RULES TO LAW ENFORCEMENT AUTHORITIES. The Bar Fly.net is not responsible for the similarity of any of its content or programming in any media to materials or ideas provided to The Bar Fly.net. You acknowledge and agree that if you send any unsolicited materials or ideas, you do so with the understanding that no additional consideration of any sort will be provided to you, and you are waiving any claim against The Bar Fly.net and its affiliates regarding the use of such materials and ideas, even if material or an idea is used that is or may be substantially similar to the idea you sent. On occasion, a product, service or venue may not be available at the time, place or the price as it appears in an advertisement. In such event, or in the event a product, service or venue is listed at an time, place or price or is otherwise incorrect due to typographical error, technology effort, error in the date or length of publication, or error in pricing or product information received from our advertisers or suppliers, you agree The Bar Fly.net is not responsible for such errors or discrepancies. Communications with Third Parties through The Bar Fly.net. Your dealings or communications through The Bar Fly.net with any party other than The Bar Fly.net are solely between you and that third party. For example, certain areas of The Bar Fly.net may allow you to conduct transactions or purchase goods or services. In most cases, these transactions will be conducted by our third-party partners and vendors. Under no circumstances will The Bar Fly.net be liable for any goods, services, resources or content available through such third party dealings or communications, or for any harm related thereto. Please review carefully that third party's policies and practices and make sure you are comfortable with them before you engage in any transaction. Complaints, concerns or questions relating to materials provided by third parties should be directed to the third party. For any inquiries or questions, please use the information listed in the "Contact Us" section below. Please also note that, pursuant to Section 512(f) of the Copyright Act, any person who knowingly materially misrepresents that material or activity is infringing may be subject to liability. a statement by you that you consent to the jurisdiction of the Federal District Court for the judicial district in which the address is located, or if the your address is outside of the United States, for any judicial district in which The Bar Fly.net may be found, and that the you will accept service of process from the person who provided notification of intellectual property infringement or an agent of such person. While The Bar Fly.net uses reasonable efforts to include accurate and up-to-date information, we make no warranties or representations as to the accuracy of the Content and assume no liability or responsibility for any error or omission in the Content. The Bar Fly.net does not represent or warrant that use of any Content will not infringe rights of third parties. The Bar Fly.net has no responsibility for actions of third parties or for content provided by others, including User Content. USE OF THE BAR FLY.NET IS AT YOUR OWN RISK. ALL CONTENT IS PROVIDED "AS IS" AND "AS AVAILABLE." NEITHER THE BAR FLY.NET, NOR ANY OF THEIR AFFILIATED OR RELATED COMPANIES, NOR ANY OF THE EMPLOYEES, AGENTS, CONTENT PROVIDERS OR LICENSORS OF ANY OF THEM, MAKES ANY REPRESENTATION OR WARRANTY OF ANY KIND REGARDING THE BAR FLY.NET, THE CONTENT, ANY ADVERTISING MATERIAL, INFORMATION, PRODUCTS OR SERVICES AVAILABLE ON OR THROUGH THE BAR FLY.NET, AND/OR THE RESULTS THAT MAY BE OBTAINED FROM USE OF THE BAR.FLY.NET OR SUCH CONTENT OR SERVICES. ALL EXPRESS OR IMPLIED WARRANTIES, INCLUDING WITHOUT LIMITATION WARRANTIES OF MERCHANTABILITY AND FITNESS FOR A PARTICULAR PURPOSE, WARRANTIES AGAINST INFRINGEMENT, AND WARRANTIES THE BAR FLY.NET WILL MEET YOUR REQUIREMENTS, BE UNINTERRUPTED, TIMELY, SECURE OR ERROR FREE, ARE SPECIFICALLY DISCLAIMED. THE BAR FLY.NET AND ITS AFFILIATES ARE NOT RESPONSIBLE OR LIABLE FOR CONTENT POSTED BY THIRD PARTIES, ACTIONS OF ANY THIRD PARTY, OR FOR ANY DAMAGE TO, OR VIRUS THAT MAY INFECT, YOUR COMPUTER EQUIPMENT OR OTHER PROPERTY. THE BAR FLY.NET CONTAINS FACTS, VIEWS, OPINIONS, STATEMENTS AND RECOMMENDATIONS OF THIRD PARTY INDIVIDUALS AND ORGANIZATIONS. THE BAR FLY.NET DOES NOT REPRESENT OR ENDORSE THE ACCURACY, CURRENTNESS OR RELIABILITY OF ANY ADVICE, OPINION, STATEMENT OR OTHER INFORMATION DISPLAYED, UPLOADED OR DISTRIBUTED THROUGH THE BAR FLY.NET. ANY RELIANCE UPON ANY SUCH OPINION, ADVICE, STATEMENT OR INFORMATION IS AT YOUR SOLE RISK. IN NO EVENT SHALL THE BAR FLY.NET OR ITS AFFILIATES, EMPLOYEES, AGENTS, CONTENT PROVIDERS OR LICENSORS BE LIABLE FOR ANY INDIRECT, CONSEQUENTIAL, SPECIAL, INCIDENTAL OR PUNITIVE DAMAGES INCLUDING, WITHOUT LIMITATION, DAMAGES RELATED TO UNAUTHORIZED ACCESS TO OR ALTERATION OF YOUR TRANSMISSIONS OR DATA, THE CONTENT OR ANY ERRORS OR OMISSIONS IN THE CONTENT, EVEN IF ADVISED OF THE POSSIBILITY OF SUCH DAMAGES. IN NO EVENT SHALL THE BAR FLY.NET OR ITS AFFILIATES, EMPLOYEES, AGENTS, CONTENT PROVIDERS OR LICENSORS BE LIABLE FOR ANY AMOUNT FOR DIRECT DAMAGES IN EXCESS OF $100. You agree to indemnify, defend and hold harmless The Bar Fly.net, and its parents and affiliated companies, and each of their respective partners, suppliers, licensors, officers, directors, shareholders, employees, representatives, contractors and agents, and sub-licensees from any and all claims (including but not limited to claims for defamation, trade disparagement, privacy, right of publicity and intellectual property infringement) and damages (including attorneys' fees and court costs) arising from or relating to any allegation regarding: (1) your use of The Bar Fly.net; (2) The Bar Fly.net's and its owner’s use of any User Content or information you provide, as long as such use is not inconsistent with this Agreement; (3) information or material provided through your Registration Account, even if not posted by you; and (4) any violation of this Agreement by you. 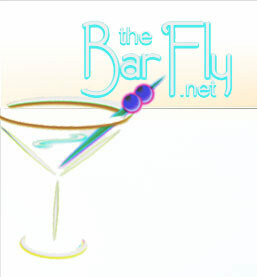 The Bar Fly.net is controlled, operated and administered by ____________ from its offices within the United States. The Bar Fly.net makes no representation that materials or Content available through The Bar Fly.net are appropriate or available for use outside the United States and access to them from territories where their contents are illegal is prohibited. You may not use The Bar Fly.net or export the Content in violation of U.S. export laws and regulations. If you access The Bar Fly.net from a location outside the United States, you are responsible for compliance with all applicable laws. The Bar Fly.net may modify, suspend, discontinue or restrict the use of any portion of The Bar Fly.net, including the availability of any portion of the Content or User Content at any time, without notice or liability. 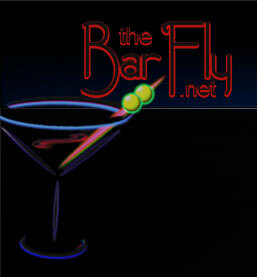 The Bar Fly.net may deny access to any Registered Member or other user at any time for any reason. In addition, The Bar Fly.net may at any time transfer rights and obligations under this Agreement to any affiliate, subsidiary or business unit, or any of their affiliated companies or divisions, or any entity that has an ownership stake in The Bar Fly.net or any of their assets. If for any reason any provision of this Agreement is found unenforceable, that provision shall be enforced to the maximum extent permissible so as to affect the intent of the parties as reflected in that provision and the remainder of the Agreement shall continue in full force and effect. Any failure of The Bar Fly.net to enforce or exercise any provision of this Agreement or related right shall not constitute a waiver of that right or provision. In the event of termination of this Agreement for any reason, you agree the following provisions will survive: the provisions regarding limitations on your use of Content, the license(s) you have granted to The Bar Fly.net, and all other provisions for which survival is equitable or appropriate.